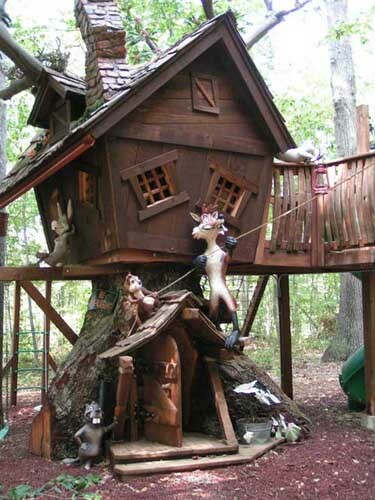 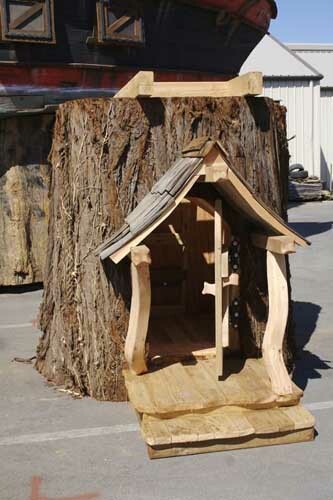 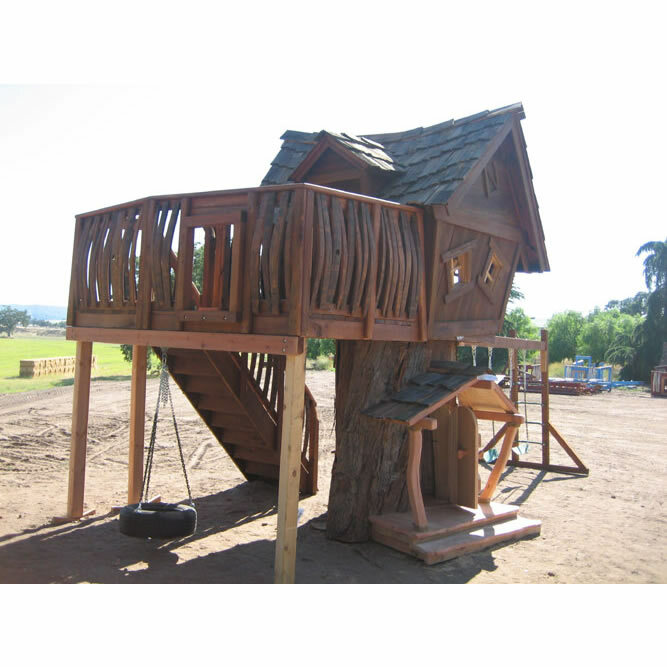 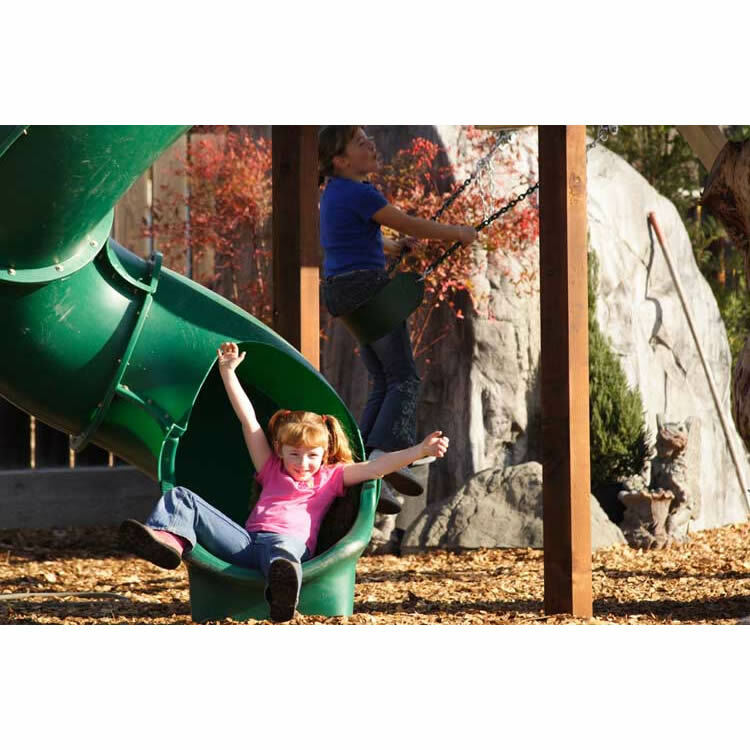 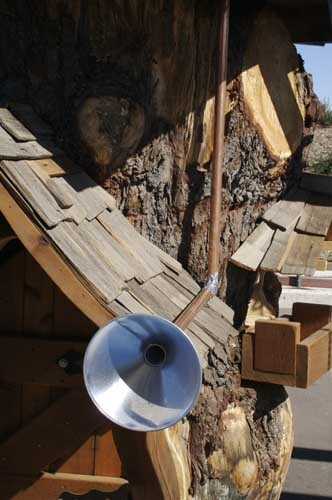 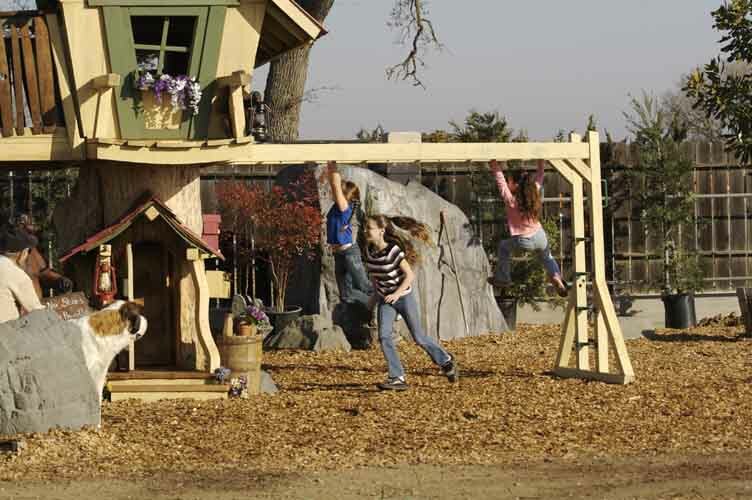 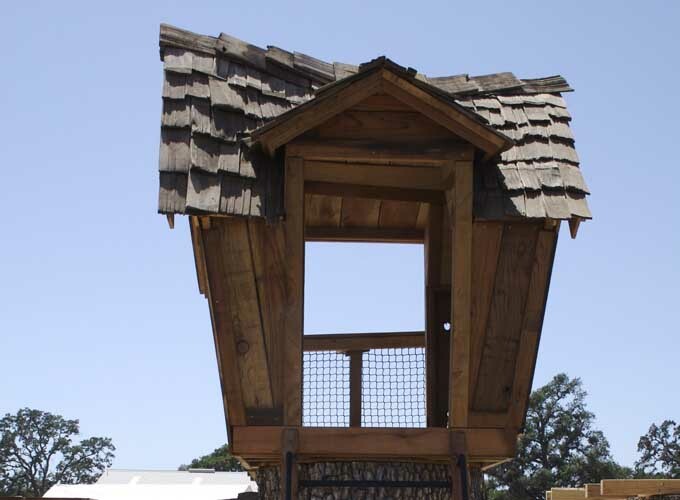 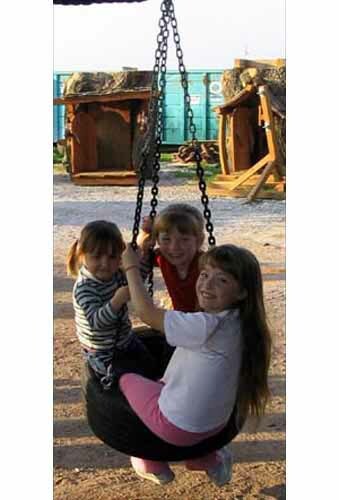 The Monkey Mountain Tree House is the perfect playhouse for your active children. 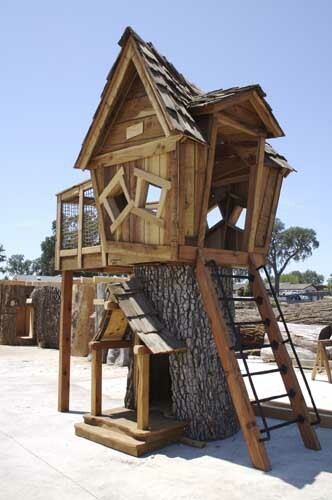 We started with our Original tree house, then added a balcony and 7' turbo slide. 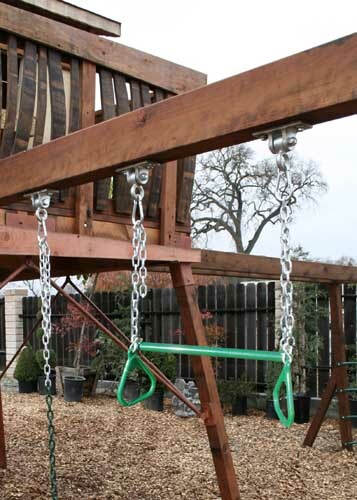 We know kids like swings, so we placed a tire swing under the balcony and a rear swing off the log. 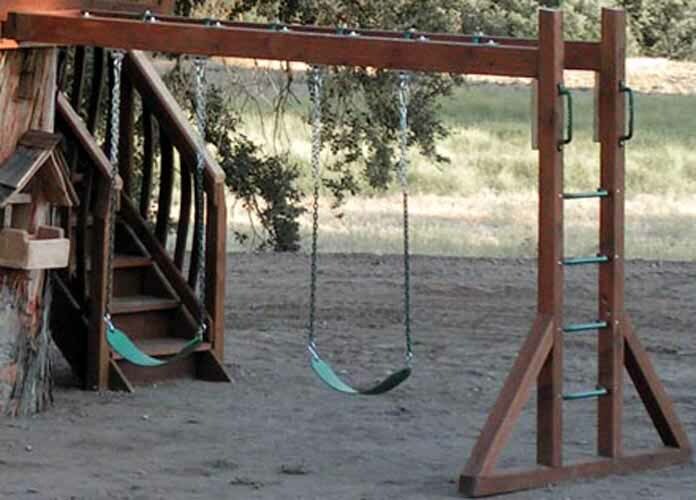 Next, we added in a set of monkey bars. 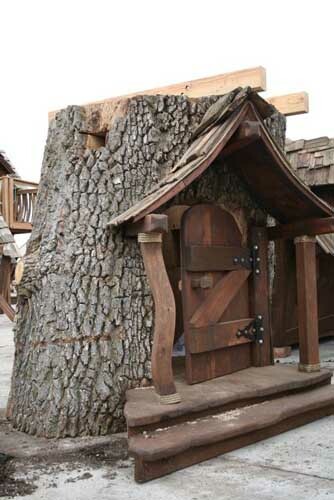 To finish off this amazing tree house, we added in a log window, roof dormer and our rust package to make it look aged. 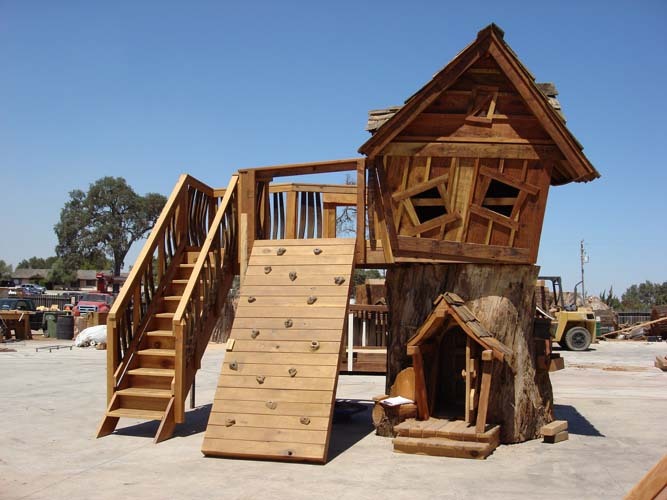 Then, we went DELUXE by adding an extra swing, rear staircase and making the clubhouse and log oversized. 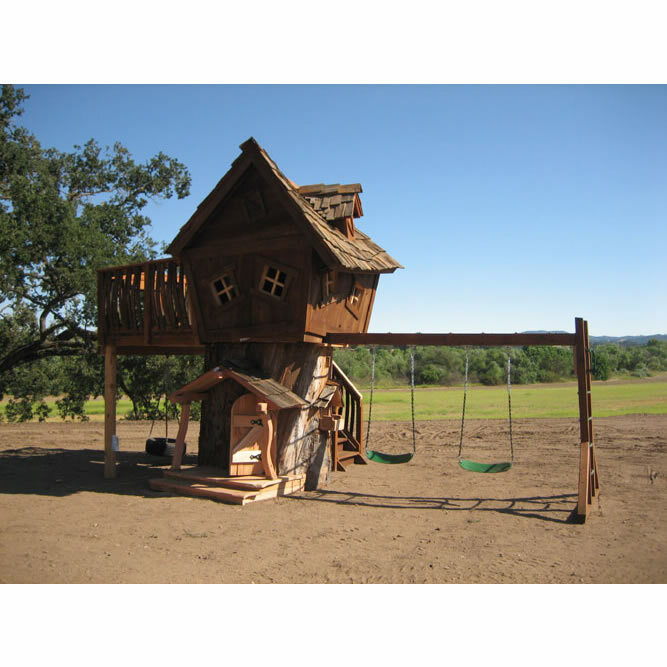 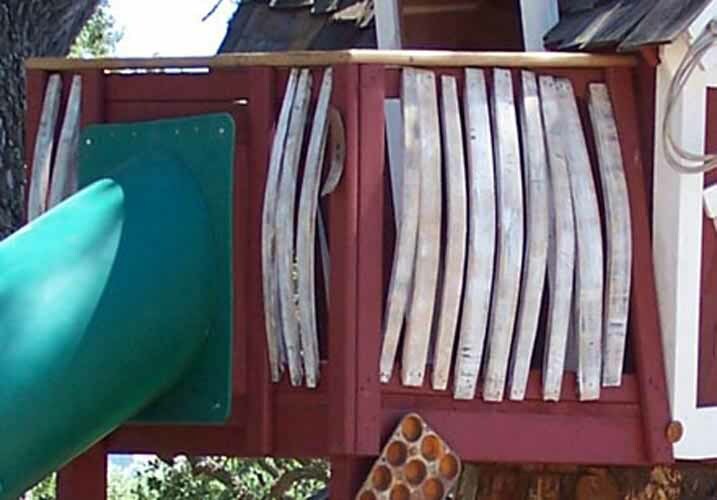 This all creates the perfect tree house for all the monkeys in your life! 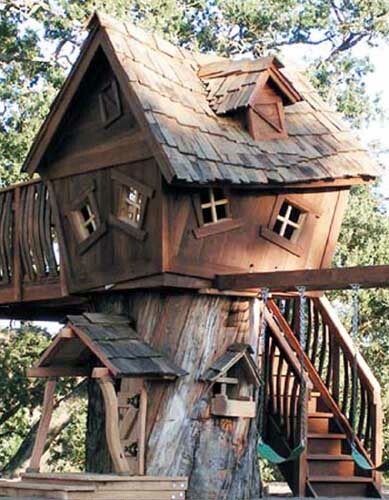 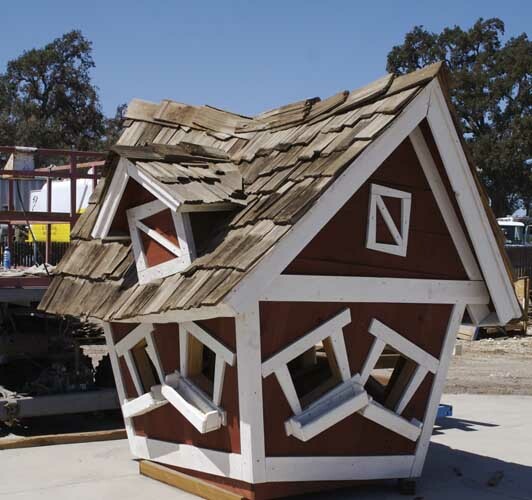 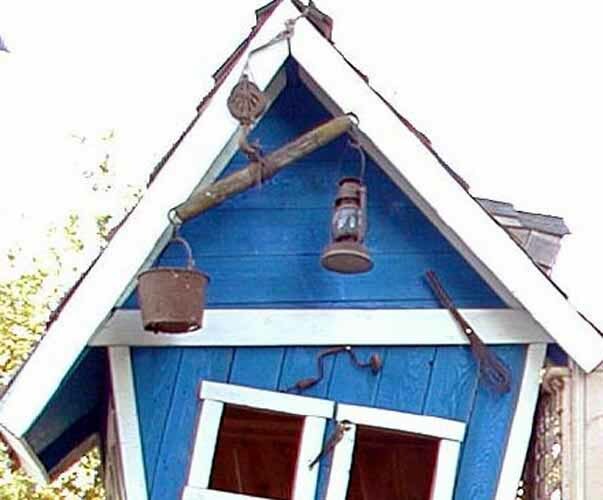 This tree house is custom made and may not be returned. 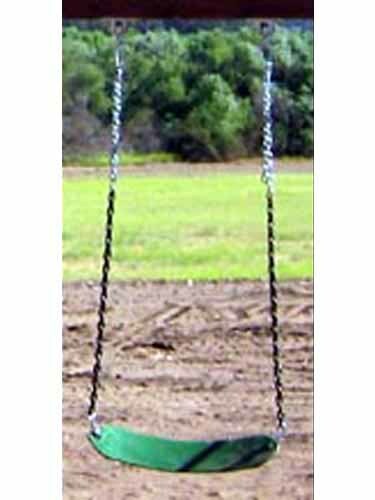 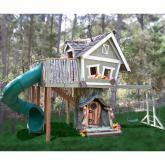 This tree house set is excluded from all discounts and promotions and does not include shipping. 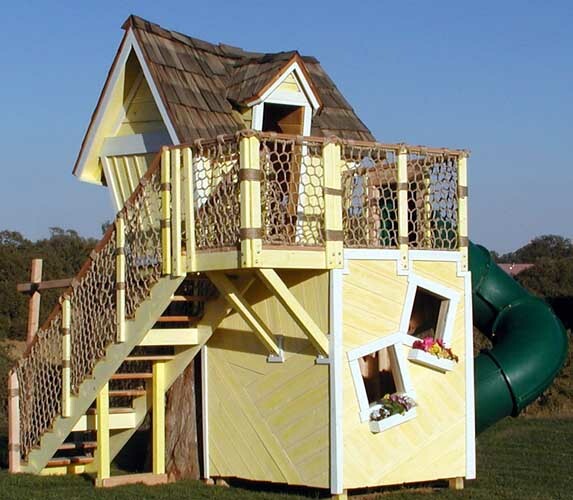 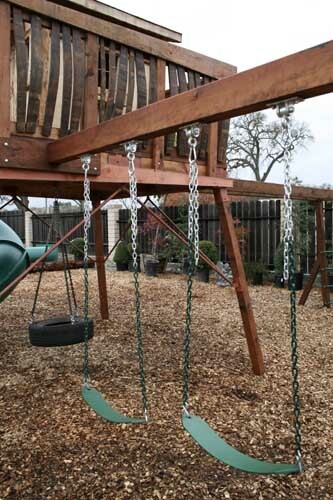 Please note that this treehouse is pictured with a customer's custom colors. 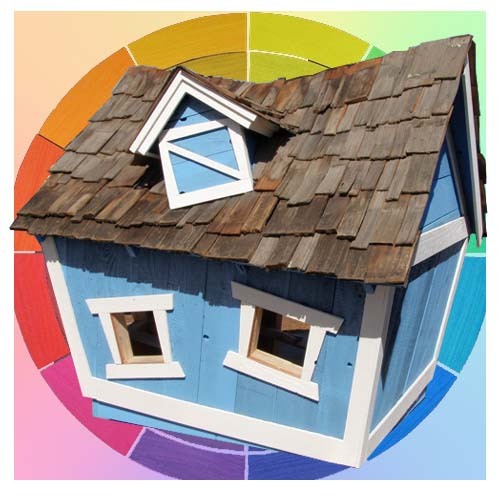 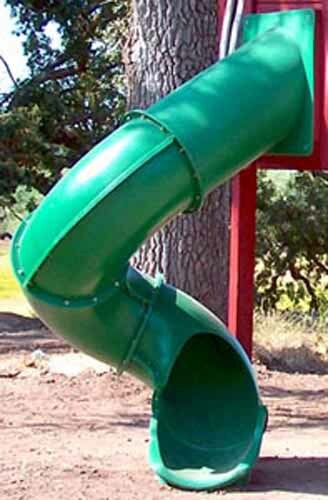 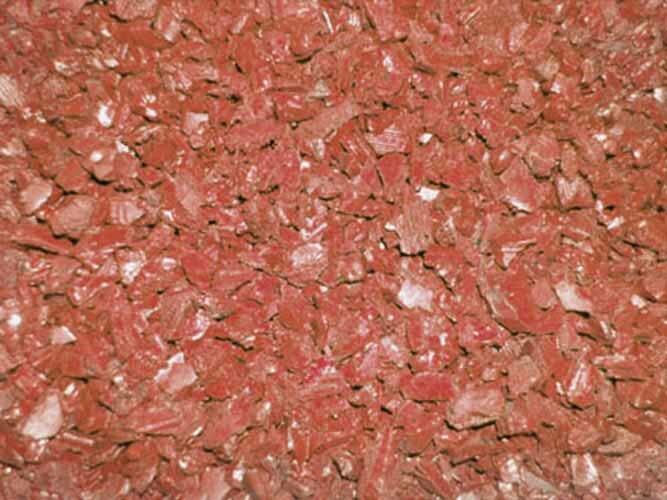 Contact us for standard color options or to discuss custom colors. 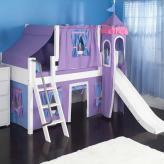 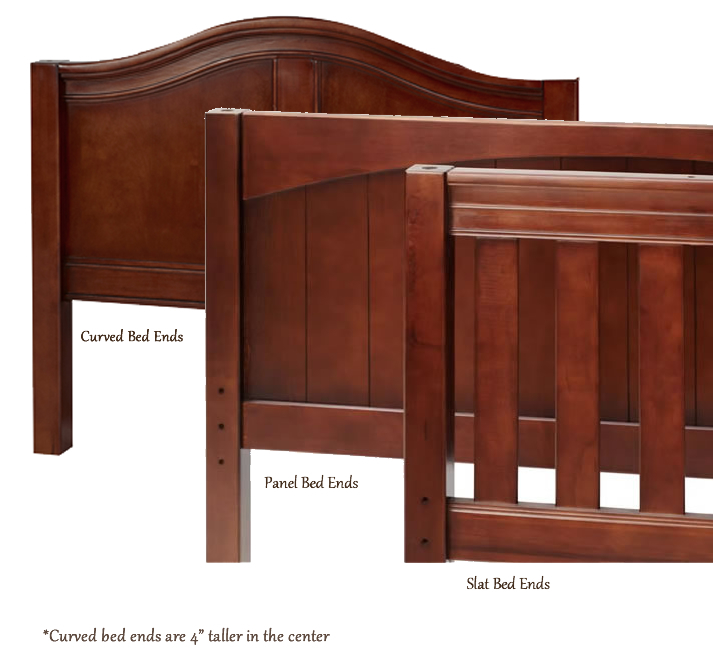 Please call a Sweet Retreat Kids sales representative for Custom Option Pricing and Shipping Rates. 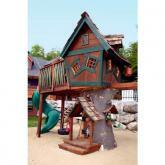 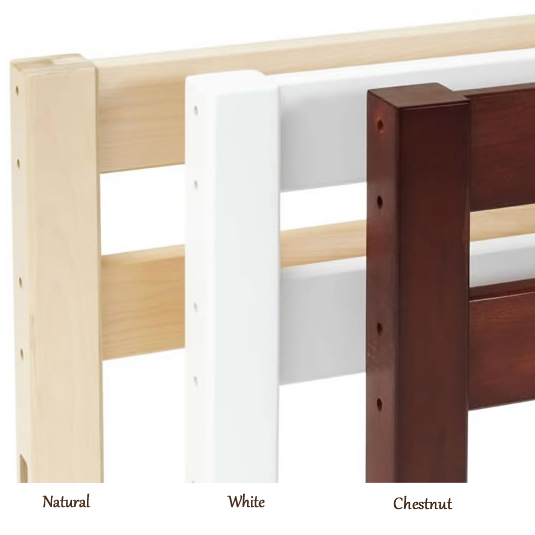 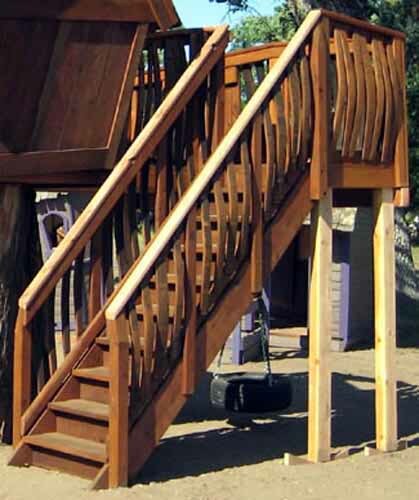 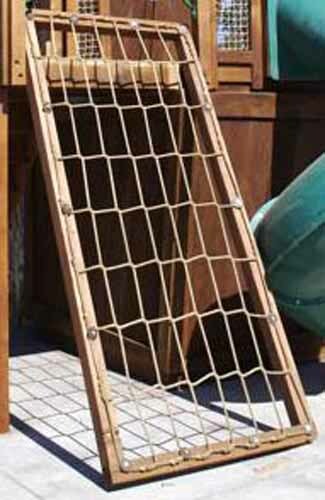 Our standard and deluxe features below are included in the price of the Monkey Mountain Tree House. 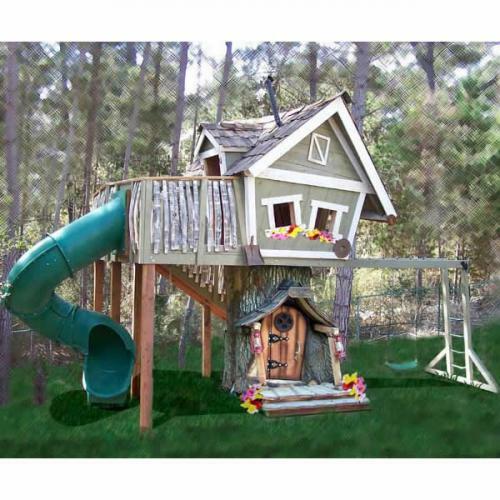 The Custom Upgrade Options may be added to most tree house designs with a simple call to one of our Sweet Retreat Kids representative. 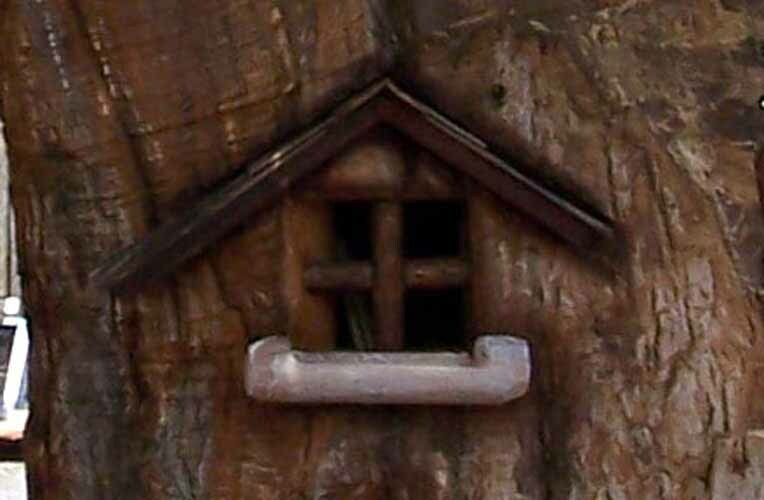 Please click on any link below for a photograph.